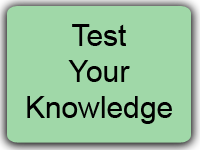 One of the realities of life is that all actions have consequences and all actions have tradeoffs. 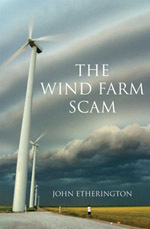 Wind power is no exception, especially with regard to environmental issues. Wind power is seen as a clean source of energy, but what is frequently not seen is that wind turbines kill a lot of bats. Unlike more charismatic creatures like polar bears, pandas, or wolves, bats are not sympathetically portrayed by popular culture or by most environmental groups. But bats are actually critical consumers of harmful pests that feed on crops. In fact, the U.S. Geological Survey (USGS) estimates that bats provide about $23 billion in benefits to America’s agricultural industry each year. Bats provide important benefits to the agricultural industry. USGS considers bats “among the most overlooked economically important, non-domesticated animals in North America” for the pest control services they provide to farmers. The USGS believes that the value of the pest control services provided by bats is $22.9 billion annually. In their study, USGS identifies two major threats to bats: white-nose syndrome and wind installations. White-nose syndrome is a fatal disease that has been spreading throughout North American bat populations. USGS, however, says wind turbines “pose a more chronic, long-term concern” than even white-nose syndrome. Wind turbines pose such a serious threat to bats—and the agricultural community—that the USGS has developed an active research project to investigate bat fatalities at wind facilities. 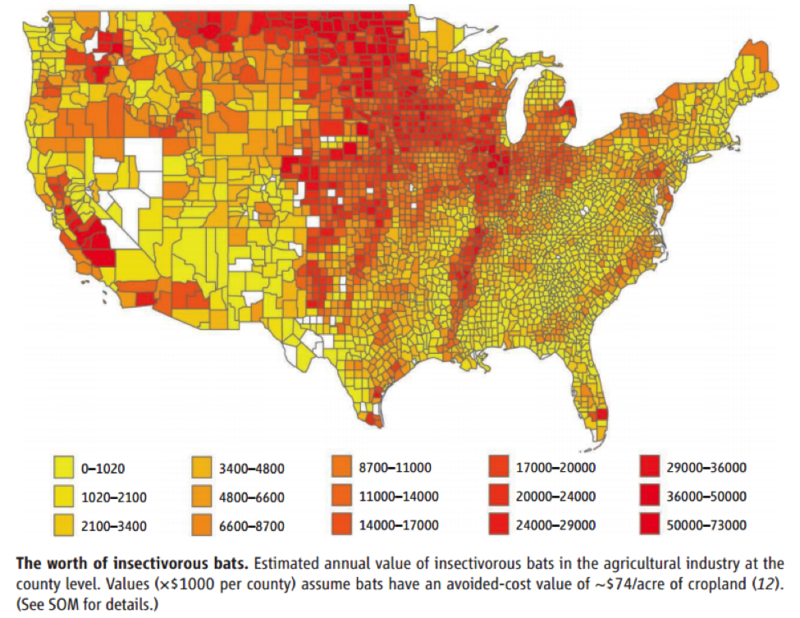 The following map, included in the USGS study cited above, shows which regions benefit the most from bats, as well as who stands to lose the most from bat deaths. The wind industry claims they are actively working to curtail bat fatalities at wind facilities. For instance, the American Wind Energy Association (AWEA) points out that they joined the Bats and Wind Energy Cooperative (BWEC) in 2003 as a joint effort between Bat Conservation International, AWEA, and various government agencies. Bat Conservation International supports the development of alternative energy sources. But we believe that the rate of bat fatalities may be unsustainable if wind facilities continue operating without more careful planning. Is the wind industry cooperating? This criticism isn’t coming from the wind industry’s detractors, but from a group that the wind industry hails as a partner. As National Geographic explains, bat-friendly turbine designs exist, but the industry has not implemented these designs on a large scale. As with last week’s article highlighting the mining and use of rare earths, our goal here is to point out that nearly all activities have some direct impact on the environment, and the environmental impact of the wind industry is often overlooked. Further, as policymakers and citizens continue to weigh the costs of direct subsidies to the wind industry, such as state-level mandates and the federal wind Production Tax Credit (PTC), it is important to keep these environmental impacts in mind. As IER has explained in previous posts, wind energy is not as “clean” and “green” as the wind lobby would have you believe. Wind turbines injure, maim, and kill hundreds of thousands of birds each year in violation of federal law—factoring in bat deaths and their impact on agriculture paints an even more complete picture of the hidden environmental and economic impacts of the wind industry. IER Policy Associates Travis Fisher and Alex Fitzsimmons authored this post.